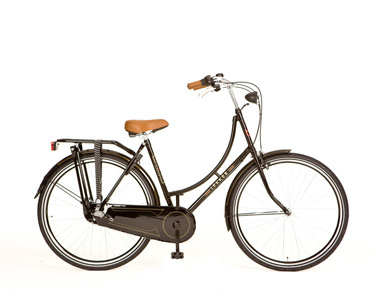 CycleStyle are acting as an agent for Urban Bicycles Pty Ltd in the sale of LEKKER bikes. The terms and conditions below form the contract between you the customer and Urban Bicycles Pty Ltd.
It’s free of charge to bring LEKKER at your doorstep anywhere in Australia! Once the order has been placed it takes us up to three working days to prepare the bike for its journey and say goodbye. Orders ship Monday through Friday excluding public holidays. Delivery may take 4-8 working days. As soon as we have waved your LEKKER goodbye we will email you a shipping confirmation notice. If it has been more than a few days since entering your order and you have not received shipping confirmation, please contact us at [email protected]. We want you to jump on your new LEKKER as soon as possible. Therefore we decided to fully prepare the bike and it road ready at our studio before we ship! Once you open your box you will find a package including a manual and tools. You will only need to install the pedals and adjust handlebar and seat and your bike will be ready to go. No further assembly needed! To keep your bike fast and smooth make sure you take care of it on a regular basis. A manual will be provided to tell you the ins and outs of keeping your bike in great shape. No worries, it’s as easy as 1,2,3! No assembly will be needed when the bike arrives, but you may have to adjust the seat and handlebar to the height and angle that fits your size and personal preferences. The provided manual will explain you how easy it is to do this. Please let us know if you’d like to exchange or return your LEKKER by emailing [email protected] so that we can send you a return form. expect a refund within 7 to 14 working days after we have received your return. Customers are responsible for the return shipping costs unless the product is defective. Please be sure to follow the instructions on the return form when sending back items, it will enable us to quickly process the return. We do not offer direct exchanges. If you wish to exchange product, you will need to return the undesired product for a full refund and make your new purchase. LEKKER guarantees each new LEKKER bicycle frame against defects in workmanship and materials for 3 months. All original components are warranted for a period of 3 months from the date of purchase. This warranty is expressly limited to the replacement of a defective frame, or defective parts and is the sole remedy of the warranty. This warranty applies only to original owners and is not transferable. This warranty does not cover normal wear and tear, improper assembly or follow-up maintenance, or installation of parts or accessories. The warranty does not apply to damage or failure due to accident, misuse, abuse, or neglect. Modification of the frame or components shall avoid this warranty. Your LEKKER distributor shall not be responsible for incidental or consequential damages. Labour charges associated with parts changeovers are not covered by the warranty. All completed purchases of a LEKKER bike through CycleStyle will qualify for a 10% off discount code for the first purchase of any items sold by CycleStyle (except LEKKER bikes) excluding shipping. The discount code is able to be used once only and has no expiry date.